In a world driven by reviews dictating where you go and information at the tips of your fingers, how can you get more people through the door to eat in your restaurant? How can you show people what they are missing by not eating at your restaurant? In today’s blog, we’re going to address these questions. 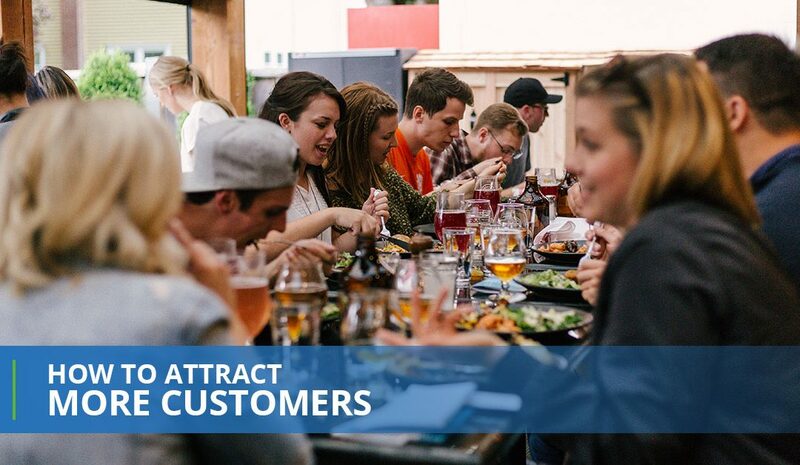 How can you attract more customers to visit your restaurant, bar, or chain? We’re going to go over advertising for restaurants in this world that’s driven by Yelp reviews, smartphones, and inboxes that are already filled with email blasts. We want to help set you apart from your competition by giving you the leg up. By learning how to effectively advertise for restaurants, you’ll see more and more customers make their way into your establishment. Remember, if you need any help That’s Biz has services and products to advertise for restaurants, bars, and chains. All you need to do is contact us to get started! So how do you get customers through the door? What hoops do you need to jump through? What million different apps do you need to set up for the customers to get in the door? Would you believe us if we said it’s actually very easy when you choose That’s Biz? You don’t have to sign up for a million little things and you don’t have to go through obstacles to achieve your goal. In fact, you can just try some of the following methods and you can already begin to see the differences in the number of people coming through your door to grab a hot and delicious meal. Facebook ads are a great place to let your business grow. Facebook is a great choice because you’re able to get in front of your target demographic. Everyone is on Facebook and by showing people your restaurants, you’ll be at the top of their minds. By being on the forefront of your target demographic, you can save money and time. Saving money is something that every business owner wants, so wouldn’t you want the same thing? You will save money by getting tracking involved, which essentially means that you can keep tabs of what’s happening on Facebook. With tracking, you’ll be able to stay ahead of your competitors and see what’s working and not working. By getting ahead of your competitors, you can be ahead of the game and fight and have a chance of being seen. Facebook ads target different demographics depending on the industry, and by utilizing them, you can get your name in front of your customers. Facebook ads will be on every month and that means you have a higher chance to be seen. Remember, if you don’t know how to get Facebook ads to work, you can also talk to That’s Biz to get started. Another way to get people in your restaurant is to do email marketing for restaurants. If you’re not familiar with email marketing, That’s Biz has all of the information you need to get started. First, it’s vital that you know that data demonstrates that email redemption actually increases 15 percent when digital coupons and automatic reminders are emailed. Email marketing is one of the best ways that you can get customers in your restaurant, bar, or chain. That’s Biz will provide you with the resources to give your customers what they want and what you need. So how do you get started with email marketing? Try the following steps, but keep in mind if you get a little lost, we can help! Setting An Email List: Your first step will be to set up your email list. Setting up your email list starts with choosing an email service provider. Once you’ve chosen an email service provider, you’ll want to pick templates, choose styles for your mail, and customize your emails to reflect your restaurant. Collect Email Addresses: Once your email list is ready to go, you’ll want to collect email addresses. Email addresses can be collected from potential diners, new customers, or ones who have enjoyed your restaurant for years. You can collect email addresses by using an opt-in form, sweet deals, encouraging people to sign up when paying, a prize draw, and using SMS marketing. There are quite a few ways to collect email addresses, you just need to get creative. Promotional And Relational Emails: The last step that we recommend is promotional emails. The best types of restaurant email campaigns include relational and promotional emails. Relational emails help to build a relationship and promote your business. The last way to get people into seats in your restaurant is mobile coupons. Mobile coupons can be extremely beneficial, especially with single use smartphone redeemable coupons. These coupons can be used for digital flyers, digital postcards, customer sat vouchers, email marketing blasts, Facebook ads and posts, Google search ads, birthday club emails, Yelp Listing offers, Twitter posts, and email club welcome offers. Mobile coupons are great because you can customize them easier and they’ll disappear once the expiration date has hit. Also, it supports barcodes, can be customized to your brand, and there are no POS integration or upgrades. Are you ready to get people into your restaurant? Reach out to us for any questions or help you need with advertising for restaurants, bars, and chains.